one crumb at a time: Cookbooks, the Gastronomer's Bookshelf and John Thorne. 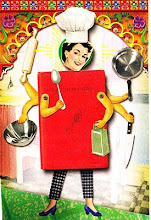 Cookbooks, the Gastronomer's Bookshelf and John Thorne. Last month Duncan posted the last entry for the Gastonomer's Bookshelf. The Bookshelf is now an archive of the reviews written since 2008. As a sometime contributor I sympathised very much with Duncan's aim to give recipe books, and books about food in general, the attention they deserve and 'to give lovers of culinary books access to thoughtful and honest reviews'. In the end it just proved too difficult maintaining a site like this alongside other work commitments. But another stumbling block, even more more difficult to overcome than the need to find more hours in the day, was the difficulty of convincing people to 'review a book on the subject they love'. I felt a pang of guilt when I read this because I have to admit to finding reviewing recipe books in particular a far more difficult task than I had imagined. My problems arose in part because of the difficulty of establishing suitable criteria and trying to maintain an objective voice. It became more and more obvious to me as I tried to justify my own reactions to certain books and to certain authors that my responses were very subjective and liable to change. For example I have always spoken highly of Nigel Slater and I have several of his books but over time I have modified my enthusiasm. So whilst I still enjoy reading what he has to say I can well understand that others may find it all a bit overblown. I wasn't very impressed with the Alain Ducasse volume I reviewed but several of my friends thought it was both very attractively presented and very useful - who am I to contradict. But more than anything I started to question the relationship of the cook and the recipe. Why do we need more recipe books? Why when there are so many recipes available on the Internet (and almost everyone I speak to admits to looking up recipes and cooking with their iPad sitting up on the kitchen bench) why is there such an endless stream of new books? Of course I don't have the answer to these questions but what I would like to share are some notes I took at a conference I attended earlier this year. One of the speakers was Jonathan Milder a research librarian who works for the Food Network in America and he had some interesting points to make about recipe books. For example, most recipe books don't cite references or have bibliographies or footnotes (with of course some very notable exceptions - Stephanie Alexander, Claudia Roden come immediately to mind) so where does the information they contain come from? Few authors acknowledge the work of others, there is a fundamental ambivalence to the whole question of authorship and plagiarism and unsubstantiated claims (such as 'authentic', 'traditional' and the dreaded 'foolproof') are commonplace. Milder argued that the absence of critical discourse on cookbooks was the result of a lack of any secondary materials which would allow for assessment and criticism. Much of what he had to say he admitted was inspired by John Thorne's introduction to his book Simple Cooking. John Thorne may not be as well known in Australia as perhaps he should be but he is a thoughtful writer and worth seeking out if you are not already familiar with his books. In Simple Cooking he explains that his 'goal as a cook has always been not so much to attain some specific sense of mystery as to be able to just go into the kitchen, take up what I find there, and make a meal of it' but of course 'an impromptu, impulsive, and ever-adaptive cooking style is not one that the cookbook ...is by nature equipped to explain'. 'Whether you follow the directions exactly or vary them to your taste, you still can't step back behind them into the sensibility that existed before it did - to that moment in the kitchen when the cook really did not know what she was going to do with all that stuff before her on the table'. Cookbooks then just recirculate the already known, each new publication is just the latest articulation; in essence all the recipes are already written, each new version is only an adaptation. All recipes are a product of a people, place and time and the cookbook is essentially an archive of knowledge sourced from non-verbal practise. However this does not mean that recipe books don't have an important and necessary place in our cooking lives.What Thorne advocates, and practises, is that cooks should do their own research, read about ingredients and recipes, use their recipe books as resources and interrogate them. What do different authors have to say? What historical details and personal anecdotes do they have to offer?Where do they agree, how do they differ? From this information the cook takes what suits them, - what appeals to your taste and your style of cooking, what fits in with your means and the resources (both equipment and raw materials) available to you. He likens this to a conversation - bringing all these cooks together in your kitchen for a lively debate. John Thorne's recipes are the result of his own conversations with different cookbooks. Felicity Cloake writes a column in The Guardian where she does some of the interrogating for you and thereby adds more voices to the discussion - her article on Lemon Drizzle Cake is here. Thanks to Wikipedia you can find out more about John Thorne here. Simple Cooking, John Thorne,Viking Penguin, New York, 1987.